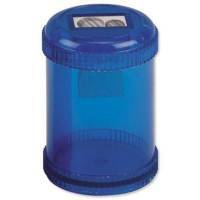 5 StarT Office robust plastic canister with integral aluminium two hole metal sharpener suitable for pencils up to 8mm (regular) and 11mm(large) diameter. The translucent canister encasing the sharpener collects the shavings preventing mess on your desk and allows for visibility of fill. 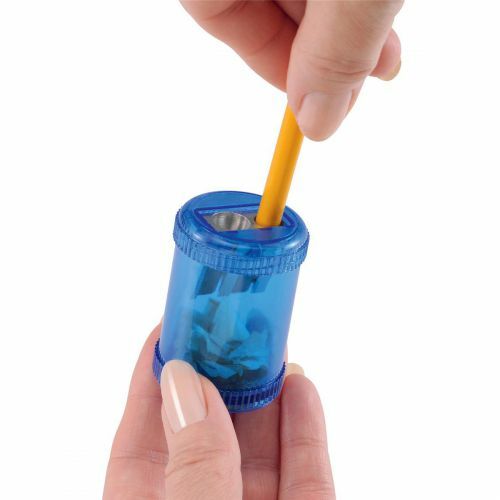 When full, simply unscrew the secure top cap, replace and start again.